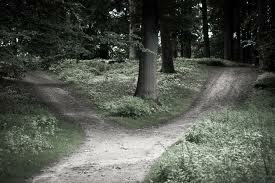 I’ve found myself at a crossroads and I don’t know which direction to take. A few weeks ago, I saw a tweet asking if anyone was looking for an administrative position. Knowing this person worked at a local university, I asked if the position was with the university. The reply was “yes,” so I took the conversation out of the public view. I made a few inquiries about the position, the department, and the people, and whether I could confidentially share my resume. I was asked to officially apply and was scheduled for an initial interview which went well enough that I was scheduled for a second interview to be held with the department Chair the following week. I didn’t stress at all about the first interview. It truly helps to interview for a job when you have a job. The second interview, however, was a completely different story. The more I read about the Chair, the more nervous I got as my interview time came closer. By the time we sat down to talk, I was a nervous rambling mess. The interview went so quickly, I thought for sure I blew it. Moving on to the next week, I begin to resign myself to the fact that I blew the second interview and that they were moving forward with another candidate. And then I get the email: You are our finalist and we need your permission to talk with your current administrator. I, of course, need to talk to him first to let him know that this call is coming. I am surprised that he actually encourages me and things it would be a good move for me. Moving forward to this week, I hear from two of my references that they were contacted. That leaves just one more reference for them to hear from … the main physician I support who is only at our location on Fridays. Late in the afternoon, he calls me into his office to tell me that he had a message and asks me how much do I want the job. Awkwardly, I explain that I haven’t received an offer yet, but that it might be a good opportunity. I apologize for not giving him a heads up about it (I didn’t realize they would contact the references my application rather than the references I had provided on paper). So moving forward to tonight, I can’t stop thinking about what I am going to do. Do I stay in my current position, where I have built good working relationships with my physicians, where I know my job, and I have autonomy and flexibly? Or do I take a leap of faith at the new position, which will be a promotion, have better University benefits, and will take me in a different direction. As I recently joked “I don’t do well with disconnecting.” But I keep telling myself that I need to think about what’s best for me and what’s best for my kids. I just need to figure out what that “best” is. Posted on April 18, 2014, in Ramblings. Bookmark the permalink. Leave a comment.